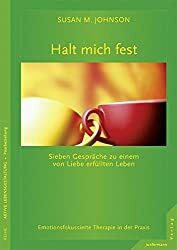 We support safe, resilient and successful relationships between life partners by facilitating and promoting access to Emotionally Focused Therapy (EFT) in Switzerland. Developed by Dr. Sue Johnson, EFT is a systematic, well-researched and empirically validated treatment method that has proven to be highly effective in helping couples in emotional distress. In this model, the therapist helps a couple to recognize and change destructive negative cycles within their relationship, while strengthening the emotional bond between the partners. The approach is structured and process-oriented, with a typical duration of 8-20 sessions. NEWS: NZZ Format: Couples therapy: Lifebelt for love? A film about the effect of couple therapy with a considerable amount of EFT! EFT has no connection to the "emotional freedom technique" or "tapping", which uses the same abbreviation. EFT Couples Therapy Switzerland aims to create and support a national network of EFT therapists. We believe that EFT should become better known among professionals. We aim to expand our network and organise training events. More information on further training can be found under this link. Core Skills trainings take place in June and October. These are designed for professionals who have already completed an Externship. 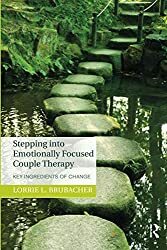 Couples seeking support in their relationship can also find more information about EFT and professionals working with this model on this page. EFT experts who would like to be listed in the directory or who are interested in exchanging ideas with colleagues can register here. Interested couples will find an EFT therapist on this site. Information and registration for Hold me tight relationship training for couples can be found here.